Subangis a suburb area in Klang Valley with 300,000 population. The area mainly consists of residential areas since most of the business activities in Klang Valley are located in the heart of Kuala Lumpur. Since the population is very big compared to other suburb areas around Klang Valley, there are significant growth in business and industrial activities across Subang. 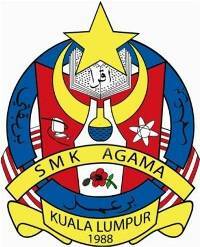 Other than Subang, Puchong is another famous suburb area in Klang Valley or sometimes referred as Greater KL. Same like Cheras, Subang, Ampang, Gombak, etc; large portions of the area are residential area. Many of the employees who are working at the centre of Kuala Lumpur will stay in the suburb areas around Klang Valley since most of the houses are affordable as compared to the those near the city centre. 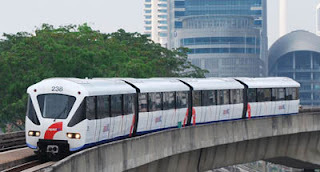 However, only a few suburb areas are currently well-connected with rail transportation like LRT, MRT, or KTM Komuter. Hence, government through Prasarana decided to expand the existing Ampang and Kelana Jaya Line to cater areas like Subang and Puchong where the population has been growing drastically in the past few years. So, below are the overview of the extension which I think very useful to those citizens currently living or going to live around the proposed routes. 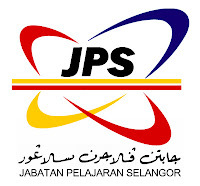 The proposed Kelana Jaya LRT extension line will commence from Lembah Subang – Kelana Business Centre, through Subang, USJ, Alam Megah and ending at the hub in Putra Heights. The proposed line will consist of 13 new stations and approximately 17km of guideway. 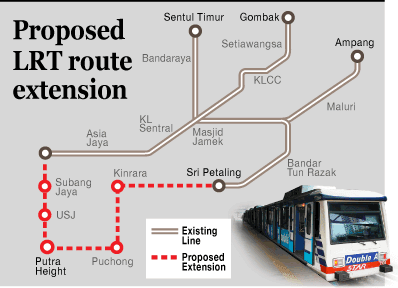 The proposed Ampang LRT extension line will commence from the present Sri Petaling station, passing through Puchong, Kinrara and ending at the hub in Putra Heights. The proposed line will consist of 13 new stations and approximately 17.7km of guideway. All stations will have facilities such as lifts, escalators,public telephones, suraus and toilets. The stations will also be equipped with facilities for the physically disabled such as ramps, lifts, tactiles, low ticket counters and toilets. Both lines are expected to be commissioned by end of 2014.